We're here to help! Call us at 1-877-992-5474. THIS ULTRA SMOOTHING FORMULA INCLUDES COLLOIDAL OATMEAL, ALOE, AVOCADO, AND CHAMOMILE. SKIN IS KEPT SOFT, SUPPLE, AND RADIANT THANKS TO PEPTIDES, COLLAGEN, AND HYALURONIC ACID. PERSEA GRATISSIMA (AVOCADO) OIL, PERFLUORODECALIN, NIACINAMIDE, GLYCERIN, CARBOMER, POLYSORBATE 20, PALMITOYL OLIGOPEPTIDE, PALMITOYL TETRAPEPTIDE-7, ETHYLHEXYL PALMITATE, SILICA DIMETHYL SILYLATE, HYALURONIC ACID, CHOLESTERYL NONANOATE, CHOLESTERYL OLEYL CARBONATE, CHOLESTERYL CHLORIDE, COLLOIDAL OATMEAL, MAGNOLIA ACUMINATA BARK EXTRACT, CHRYSANTHEMUM PARTHENIUM (FEVERFEW) EXTRACT, CITRUS GRANDIS (GRAPEFRUIT) PEEL OIL, LITHOSPERMUM OFFICINALE(GROMWELL) EXTRACT, AGARICUS BISPORUS (MUSHROOM) EXTRACT, GLYCINE SOJA (SOYBEAN) SEED EXTRACT, CURCUMA LONGA (TURMERIC) ROOT EXTRACT, PHENOXYETHANOL, ETHYLHEXYLGLYCERIN. MAY CONTAIN: TITANIUM DIOXIDE (CI 77891), IRON OXIDES (CI 77492, CI 77491, CI 77499). Say goodbye to redness and hello to an even, flawless complexion in just one step! Bye Bye Redness™ is color-infused skincare that starts its life as a skin-calming cream and completely cancels redness from view—all while delivering long-wearing, color-correcting full coverage. 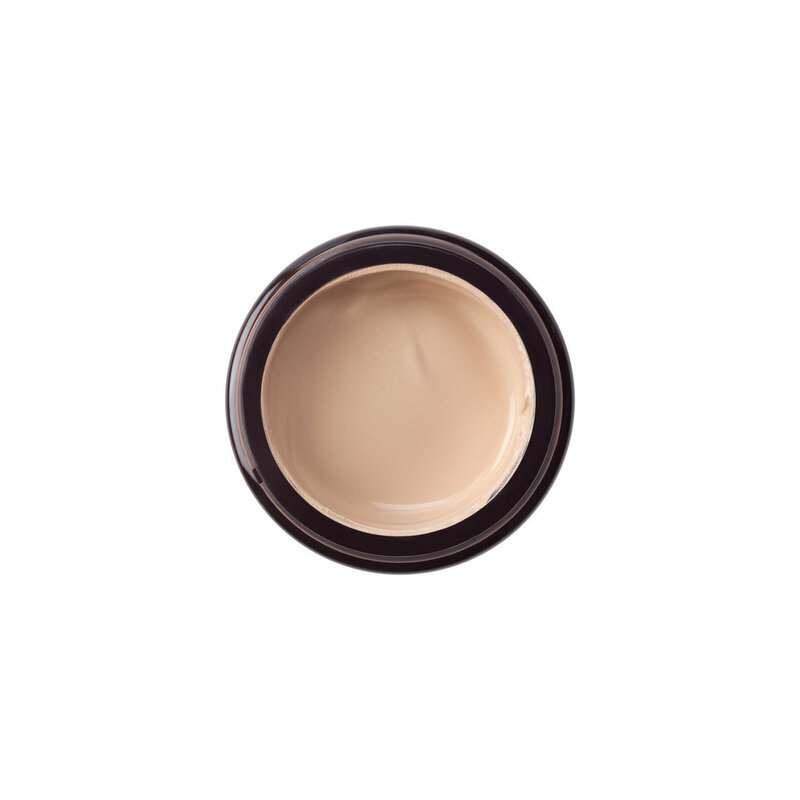 The universal shades neutralize redness on all skin tones without any extra foundation or concealer on top. Apply to clean, moisturized skin. Blend with your favorite IT Cosmetics™ brush for flawless color-correcting coverage. Wear alone or under makeup. To cover a blemish, hold an ice cube over it for a few minutes to reduce swelling and help Bye Bye Redness™ go on smoothly. Dab off the excess water (never rub) and gently tap Bye Bye Redness™ onto its outer edges, moving inward. Continue dabbing all the way around the blemish to soften and blend. Watch redness disappear as Co-founder of IT Cosmetics, Jamie Kern Lima, shows the Real Results of using Bye Bye Redness, a skincare product infused with color-correcting pigments. I had bought this product because I was done and fed up with my rosacea on my chin, and of course blemishes here and there. Like many people, I was very skeptical about the high price. But, I decided to take the chance and try it. Not only is the container itself incredibly smaller than what's shown in the picture, this piece of crap doesn't even cover up any redness. It also leaves my face looking like a "caked-up mess". I've never been one to wear much make-up, so I didn't like the appearance this product was giving me. I wouldn't recommend any other girl or boy to buy this unless you like to look like you just swam in a ton of foundation. I would honestly rate this zero stars, but as it won't let me, it'll have to do with just one. This makes covering redness and evening out skin tone a breeze. It works on "red-toned skin discolorations from rosacea, broken capillaries, blemished skin, irritated skin, sun damage, scars, age spots, etc". I use this in my pro kit and love how beautifully it works on rosacea. Like most of IT's products use it sparingly! Also I think it's nice to let it dry before buffing foundation over the top. This cream covers almost everything and leaves a matte finish which is very very rare to find in any other high coverage products I've tried. You do not need to put anything else on top of it and it looks quite natural. I compared this with It Cosmetics your skin but better CC Cream but both of them have amazing reviews so i bought both. I would prefer to use this in winter when my skin is more sensitive and red. If i will be outdoor for a long time i'll wear a good base with sun protection underneath. However the packaging design really needs to be reconsidered. The jar came as a mess already, and it's not travel-friendly either. Also I'm not sure whether it'll be dried out very soon as it's exposed to air every time you open it. It'll be much much better if it comes in a tube. For this reason i think i will repurchase the CC cream but not this one. This product is an amazing neutralizing and correcting cream. I have psoriasis on my face; it isn't flaky, but you can see inflammation and redness on my face because of it. I had always looked for a product to cover up the redness without it looking too heavy on my face. I only needed the tiniest bit of this cream and it covered every flaw on my face. It is very creamy and non-drying, which is my issue with Kevyn Aucoin's Skin Enhancer. I let it dry thoroughly before I applied foundation over my face to color-correct and match the rest of my body. Otherwise (as I learned the hard way), your foundation and the cream will blend as one and the color of your foundation will change. Also, the cream is a neutral color, not your typical pink or salmon color corrector. This really does cover the redness on your skin. It's very thick so use in small batches. To make sure you moisturizer your face really well then put a primer on before you add the product to your face if your skin is dry it will look even drier with the product. IT cosmetics Bye Bye Redness Correcting Cream really does the job of covering redness. I apply it with a damp beauty blender because I find that this helps to sheer it out a bit since the product is very thick and creamy. 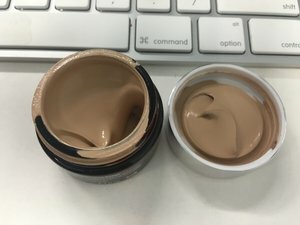 The consistency of this product feels like a concealer. There is only one shade and it worked for me (I'm a Mac NC35 for reference). I have oily skin and this product did not break me out or make me more oily than usual. Overall a good product. LOVE this product! It really does banish redness and gives an even skin tone. Be careful you only need the tiniest amount, I learned that the hard way - looked like I had a mask on! I applied this to my oily, acne scarred skin (using IT no:50 primer as my moisturiser) first using my fingers but that didn't work right so I used a small fluffy brush and it goes on like a dream. At first I found it looked a bit powdery but once it's on the heat from my face just made it look perfect. I didn't use a setting powder as I was experimenting. It's excellent for diminishing open pores once it settles and has been buffed and all my dark scarring disappeared. It feels like you're not wearing any makeup and makes skin touchably soft. I work a 15 hour shift and I would say this lasted around 6-8 hours on my oily bits and the full 15 hours elsewhere. I may use a setting powder on my oily bits but it seems to last long enough without. Buy it you won't regret it and its such a great price (£22 GBP) cheaper than most foundations and packed with gorgeous ingredients that are great for your skin. At almost 40 years old my skin has seen it's better days. Years of cystic acne, regular stubborn acne, pregnancy hyper pigmentation, sun damage, and just plain old aging have left my skin with lots of redness. I dot on a tiny amount of Bye Bye Redness on my scars, redness, and any current blemishes. They disappear immediately and stay covered. I follow this with my It Cosmetics CC+ Cream or place this on top of my CC+ Cream...I've found either method works. Amazing amazing stuff! I have also used just this in my problem areas with a bit of mascara and my It Cosmetics Vitality Lip Flush inJe Ne Sais Quoi for quick trips to the grocery store or outdoor workouts. Best Product EVER for covering red. I had three people stop and comment on my skin the first time I went out after I used this product. It is amazing. The coverage is complete, but light. If I could marry this product, I would. I also bought the brush from the video and am very happy that I did so. It's bristles feel like fairy kisses and it's nice to have the fluffy part for fuller coverage and then the smaller brush to go in and blend around my nose. I use this as foundation and then put on the powdered SPF sunscreen also from IT. Dark spots and blemishes are instantly gone. Small amount only is necessary. No caking. Just smooth coverage and the effect is like your own skin but without the blemishes. In my kit forever.